Weather in the UK 2018. Britain BUCKLES in the heat! Re: Weather in the UK 2018. You are still in hospital? Surely they have air conditioning? Crews from across northern England deployed to tackle ‘rapidly developing’ blazes. Firefighters from across the north of England and Midlands have travelled to Greater Manchester to help control fires that have destroyed at least 2,000 hectares (4,940 acres) of moorland over the past week. Crews from Cumbria, Tyne and Wear, Nottingham, Humberside and Warwickshire joined teams from Lancashire and Greater Manchester tackling fires in Saddleworth, east of Manchester, and on Winter Hill, north-west of Bolton. Two large-scale fires merged on Saturday due to increasing wind speed, and a major incident was declared as crews tackled the blaze. Lancashire fire and rescue service said it was dealing with “a rapidly developing, aggressive fire across all vegetation types, including woodlands”. Fires on Winter Hill and Scout Road near Bolton have merged, with pedestrians and motorists urged to stay away from the scene. Twenty-two fire crews had been working on the blaze since 4.30am on Sunday, Lancashire fire and rescue said. Scorched moorland at Winter Hill, near Bolton. Moorland plants fulfill a vital role by locking away huge amounts of carbon from the atmosphere. The wildfires in Lancashire and Greater Manchester are a disaster, not least because of the blot on the landscape they will leave behind once the flames are out. Although the hot dry weather is clearly to blame, so too is damage over the years from drainage that dried out the peat and turned it into a powder keg. Peatlands may not look glamorous but they are a hugely important national treasure. They help prevent floods by soaking up rain like a sponge, and can hold about 20 times their own weight in water. And more than 70% of Britain’s drinking water comes from peatlands, feeding into supplies for 28 million people. The plants in peatlands absorb carbon dioxide from the atmosphere, locking away staggering amounts of carbon – about 5.5bn tonnes, more than half the country’s entire carbon storage – and that helps curb climate change. In comparison, British forests store only 150m tonnes of carbon. 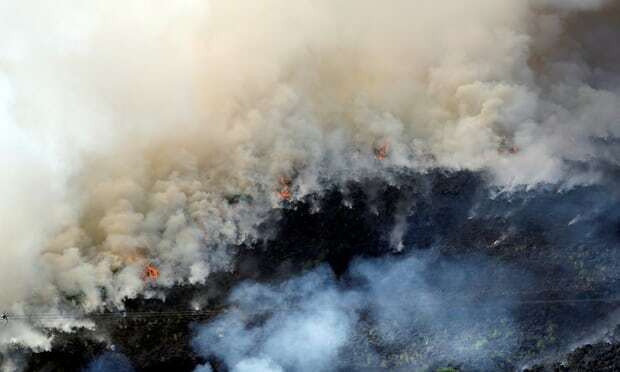 However, damaged moorlands do the opposite, releasing vast amounts of greenhouse gases, made even worse when smoke particulates enter the atmosphere. Britain has some of the finest peatlands in the world, but they need protection. They need to be kept wet and prevented from being drained for farming or development, or dug up for garden compost. London commuters cooked in temperatures of 97F inside crammed carriages. Re: London commuters cooked in temperatures of 97F inside crammed carriages. Someone should tell the dinosaurs at the Mail to use Celsius!! Temperatures in many eastern regions of the UK dropped to -2C Saturday morning, making it the coldest September night for 32 years. Brooms Barn, Cambridge NIAB, Monks Wood, Wittering, Weybourne and Woburn all recorded their coldest September night since 1986 — the solar minimum after cycle 21. AN ONSLAUGHT of savage winter weather including “substantial snow” and sub-zero temperatures will cripple Britain for four months from next week, a long-range forecast has claimed. UK weather well I hope they are wrong!!! Forecasts like this are usually ridiculed in the UK forums I watch, so wait and see. Just as here someone tries to talk of a cold winter after the first cold snap (and is almost always wrong), there are plenty at it in the UK. This is the latest thing I could find at the UK met office. BBC WEATHER warned temperatures will drop into the minus figures on Tuesday while a storm ripping through Europe unleashes “potentially damaging winds” as it narrowly misses the UK.